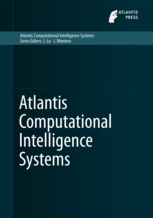 The book series Computational Intelligence Systems aims to cover state-of-the-art research and development in all fields where computational intelligence (CI) is investigated and applied. The series seeks to publish monographs and edited volumes on foundations and new developments in the field of computational intelligence, including fundamental and applied research, as well as work describing new, emerging technologies originating from CI research. Applied CI research may range from CI applications in industry to research projects in the life sciences, including research in biology, physics, chemistry and the neurosciences. All book proposals submitted to this series will be reviewed by the Series Editors. Once the manuscript has been completed, it will be entirely reviewed by one dedicated Editor or by an expert referee. Only after this review the book will be published.